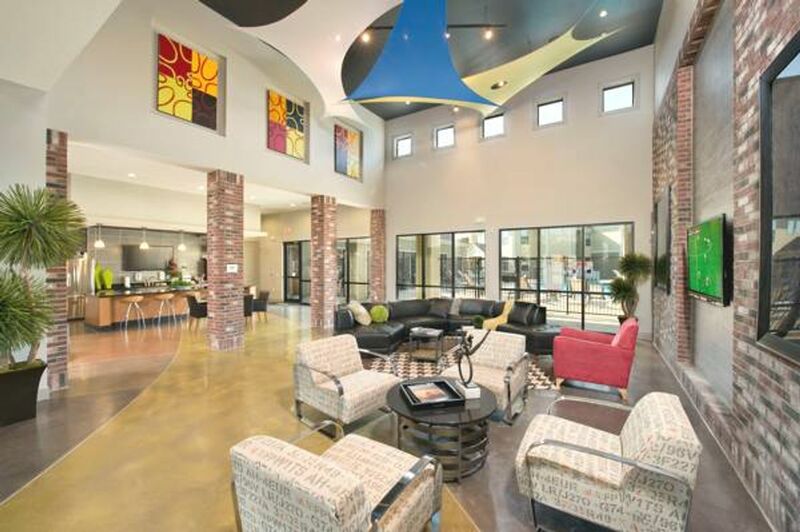 Live at The Domain at Columbia and have the University of Missouri only a short drive away. Grab a free Starbucks from the clubhouse before hopping on the private shuttle to class. After college, catch a movie at indie hang out Ragtag Cinema, then tuck into spare ribs at Shotgun Pete’s BBQ Shack or pulled pork nachos at Addison’s. You don’t need to worry about cutting your night short, with the shuttle running until 2am on the weekend. Spend your downtime lounging in the pool or pack a picnic to walk the nature trails in ruggedly beautiful Capen Park, a five-minute drive from home. You’ll have all of Columbia’s best colleges within easy reach of The Domain at Columbia. Get to the University of Missouri by car or shuttle in five minutes, or make the 10-minute drive to Columbia College. Pick up groceries at the Walmart Supercenter, five minutes away by car, or Aldi, a seven-minute drive. When you need a snack to fuel an all-night study session, stop by Zaxby’s just a few minutes’ walk from your door. There’s so much to do in your new home that you’ll be living for the weekend! 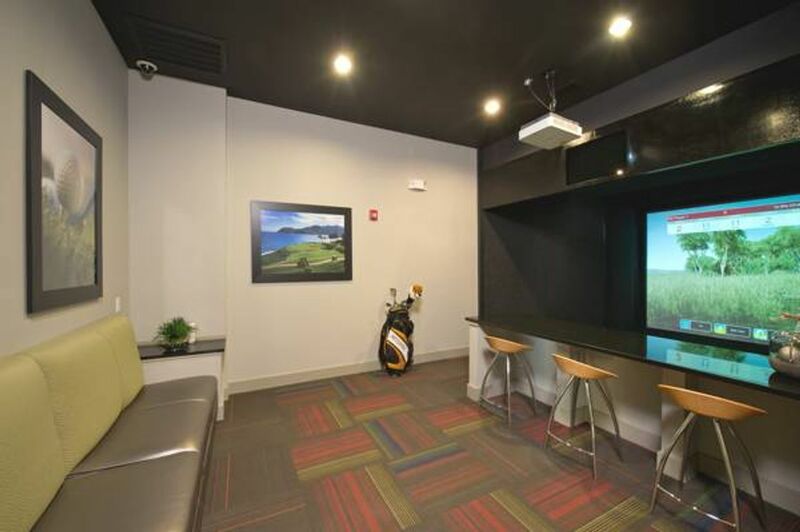 Try out the full-swing golf simulator in the luxury clubhouse, or relax in a hammock by the pool. Get some friends involved in a knock around on the pro-style sand volleyball court, or have a movie afternoon in the on-site theater. When night falls, hang out by the incredible fire pit after cooking up a feast in the outdoor kitchen. 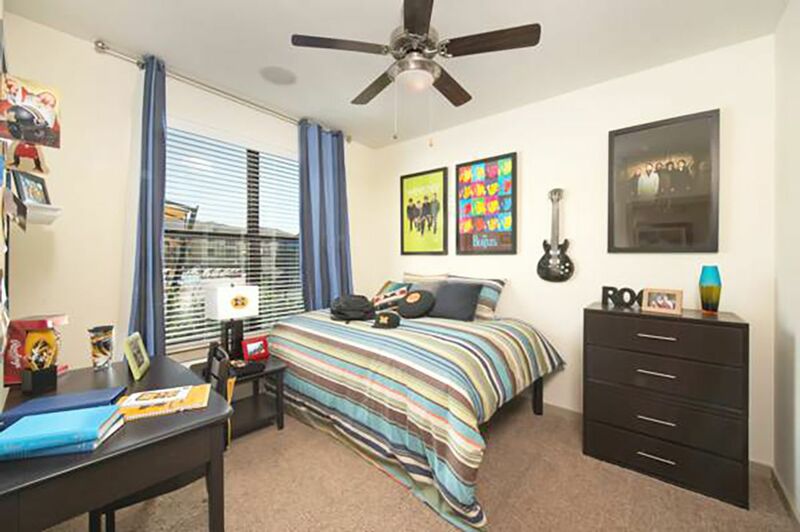 Get a good night’s sleep in your spacious room, then fuel up for the day in your apartment’s gourmet kitchen and watch Apple TV with your roommates before class. Hit the 24-hour fitness center and bronze yourself in the free tanning facility before freshening up in your private bathroom. Knuckle down in the business center with three conference rooms and free printing, which is perfect for working on a group presentation. Check your messages or blitz research projects in the internet café. Later, you can de-stress by hugging your dog in your pet-friendly home! We couldn't find a room that matches your preferencesView all Private Room in The Domain at Columbia. We couldn't find a room that matches your preferencesView all Entire Place in The Domain at Columbia.